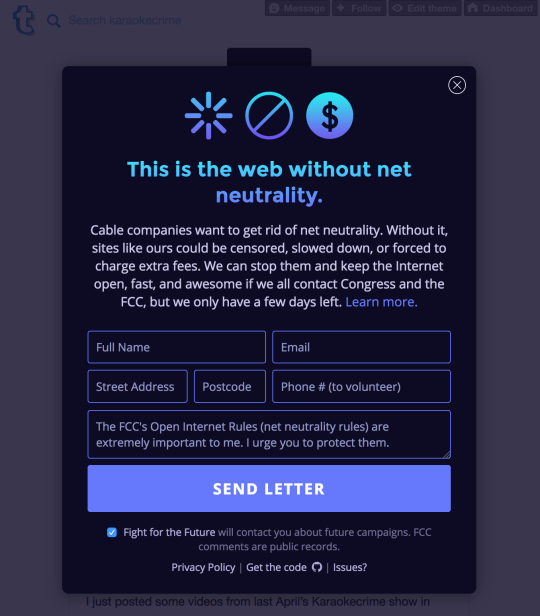 On July 12, tons of websites are taking action to defend net neutrality. Here’s how to join in on Tumblr, by running this epic widget on your site. First, if you’re not sure why this matters so much, watch this short and sweet video, and then visit BattlefortheNet.com to contact Congress and the FCC yourself. Then, if you’re technically inclined, check it out on Github.